Roding – 60′ Cruiser stern narrowboat 1975 is a beautiful 60’ cruiser stern narrowboat, and for her age she is in remarkably good condition. Built by Hancock & Lane in 1975 & fitted out by Welford Canal Boats, she started life as a 40’ boat as part of a hire fleet. She passed into private ownership in 1988 and has remained in the same hands since. 30 years and loved. She was stretched to 60’ in 1990. She has a semi reverse layout, so the galley is at the stern, bedroom in the middle and saloon forward. From the 8’ stern deck straight into the galley. This has good storage, a Vanette 4 gas burner hob, oven & grill, a 12v fridge and double sink. The starboard corridor, which has under-gunwale shelves & cupboards all the way, leads to the bathroom. A good sized tiled shower cubicle with curtain is housed in here along with the pump out loo and basin over cupboard. The charming bedroom follows; the 6’6” bed (extending to 4’6” wide) is posted and curtained, and there is even a wash basin at the foot of the bed next to the wardrobe. Good storage under the bed with four drawers. Next is the dinette area. This has storage under and converts into a spare double berth. There is a side hatch opposite over the four under-gunwale cupboards, and a half height hanging wardrobe at the forward end of the dinette. The huge, nearly 14’, saloon follows; a sofabed in here will offer an additional double berth, along with shelves & cupboards a-plenty. There are also two comfy office type chairs. The solid fuel stove has long since gone, but the tile surround and through-roof fittings are still there and it’s easily re-fitted should you wish. The well deck is charming and has a glazed front board with cratch table under a vgc cover. The floor is low and I can stand upright in it (I’m 5’ 8”). It’s like a little conservatory! Central heating is a gas fired Ellis system and 230v comes from the 1500w inverter. Propulsion is from the modern (2008) Beta. She is an enchanting and loveable boat. 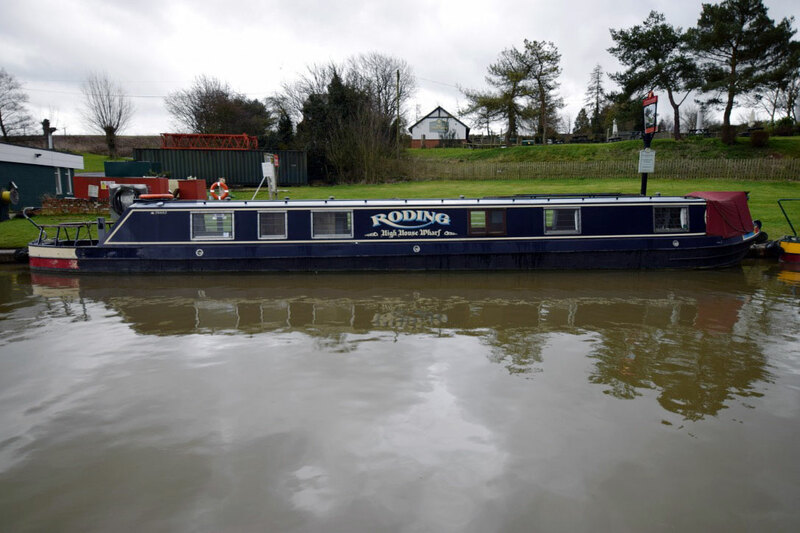 Roding – 60′ Cruiser stern narrowboat 1975 is a great narrowboat.